Visit Shabby Cottage Shops featuring over 60 unique online shops offering fabulous French wares, romantic prairie style and shabby cottage chic home decor and more! The Christmas Shoppe opens on November 18! Come Celebrate Christmas at Shabby Cottage Shops! Come Join Us! Get your shop noticed at Shabby Cottage Shops, we're your premier online shopping mall destination! We're so excited, this year The Christmas Shoppe at Shabby Cottage Shops will open on Monday, November 18! You'll find a wonderful selection of gifts, handmade jewelry, bath and body products, hand painted home decor, beautiful Christmas stockings, hand painted ornaments, quilted ornaments...the list goes on and on! But we're sure you will find that perfect gift for everyone on your holiday shopping list here at Shabby Cottage Shops! Each day while the Christmas Shoppe is open, we will feature a different boutique everyday!! The shop being featured that day will showcase holiday gift ideas, all on sale for just that one day! You might even enjoy free shipping, a free gift with purchase, free gift wrap, who knows, you'll have to stop by and see what each "Today's Featured Christmas Shoppe" will be offering this Christmas! We'll post a list of the participating Christmas Shoppes later this week and hope you'll visit them during this holiday season, you'll find lots of treasures in store this Christmas at Shabby Cottage Shops! Visit The Christmas Shoppe at Shabby Cottage Shops! Find the perfect gift at Shabby Cottage Shops! 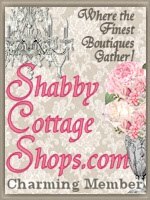 Enjoy being a member at Shabby Cottage Shops for just $9.99 a Month, includes a FREE month with great benefits! Our Ads in National Magazines! 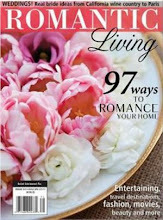 Find us in Romantic Homes, Romantic Country, Romantic Living, Cottages & Bungalows, Bedrooms & Baths, Kitchens, Vintage & Victorian,Where Women Cook and More! Find us in the current issue of Victoria Magazine! July 2013 issue is on the newsstands now! This Blog Protected & Monitored by DMCA!! Amore Artisan Boutique ~ NEW SHOP!! Sassy Beach Jewelry Designs ~ NEW SHOP! Shabby Cottage Home ~ NEW SHOP! NEW SHOPS IN BEAUTIFUL COTTAGE BOUTIQUES!! Shabby Cottage Home ~ NEW SHOP!! Enjoy at least two ads a year in National Magazines! *Fabulous Benefits including at least 2 ads in National Magazines per year! Shabby Cottage Shops ~ Our Members Blogs! The Ruffled Rose ~ "In The Armoire" ~ "Say It with Roses"
The Ruffled Rose ~ "That Shabby Pink Girl"
Subscribe Now: Get The Latest Scoop! 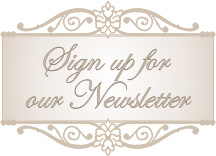 Sign Up for our Newsletter ~ "Get The Cottage News"
Sign up for Get The Cottage News! Susan, from One Spring Street, designed our Fresh New Look! If you are looking something special to make your site standout and be remembered, visit One Spring Street, where creative things happen! A community of artists, online boutiques, shabby vintage style enthuiasts! Please click on the fence to vote for Shabby Cottage Shops!! Thank you! 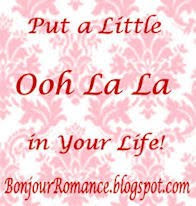 Subscribe Now and Celebrate La Joie de Vivre with Us! NEW! VIEW CURRENT & MOST RECENT NEWSLETTERS HERE, CLICK THE BUTTON! 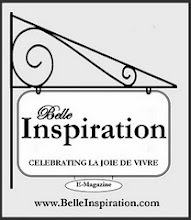 Visit Belle Inspiration online magazine's Beautiful Blog! 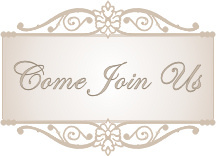 Welcome our newest Member ~ Bella Rosa Designs! Click button it's FREE & a easy way to help fund mammograms for those in need! Free Ways to help The Breast Cancer Site! Register & Get Free Gift, Sign a Petition or Link to them! The Lucky Winners of our 12 Days of Giveaways!! Our First "Christmas In July" Sale & Giveaway is in progress! Starts Sunday, July 10th!! Don't miss this event!! It's Our Content, all of it, please don't use any content, including words, without our permission! Christmas in July NOW thru July 26!! Stop by daily and see the featured boutique, the item they are offering for sale and the item they will be giving away, plus enjoy free shipping too! A new boutique will be featured each day during Chrisrtmas In July at Shabby Cottage Shops! Below is a list of the boutiques participating during Christmas in July at Shabby Cottage Shops! Valentine's Day "Sweet Treats" Giveaway,ends January 30th! Celebrate Love & Romance at Shabby Cottage Shops! Enter our giveaway Here! Valued at $350!! Wishing you a Magical Holiday Season! 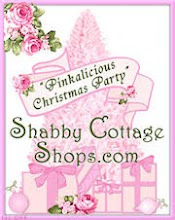 Shop Shabby Cottage Shops Weekly "Pinkalicious Christmas Parties" for the Perfect Gift! 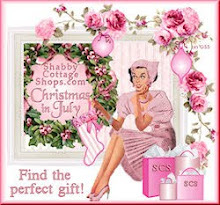 You'll find "The Perfect Gift" at Shabby Cottage Shops! You're Invited to Our "Pinkalicious Christmas Parties" every Thursday from now until December 31st! Come Shop with Us! The Pink Present Holiday Giveaway has ended!! "The Pink Present" Blog Holiday Giveaway! Click here to sign up for "The Pink Present" Giveaway, valued at $400.00! Ends November 30th @ 12 Midnight EST! Pink Holiday Magic $100 Shopping Spree! Enter our "Pink Holiday Magic" Shopping Spree Now, contest ends November 25th at Midnight! Find our Blog listed in the "Big Blog Collection"! So You Think You're Eating Healthy... Hmmmmm??? Wonderful Mother of Mine...A Mother's Day Celebration Sale! Scrap Your Blog ~ Beautiful Blog Templates! Who's Visiting Shabby Cottage Shops? Visit Our Christmas Shoppe for huge savings! Enjoy special sales and more! Visit Ms. Bingles Vintage Christmas! How Many Days til Christmas??? Plagiarism will be detected by Copyscape! 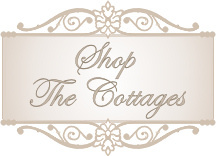 Visit Shabby Cottage Shops and tour the cottages to see what cherished treasures await you! You will find shabby chic, cottage chic, pink, romantic, and Victorian styles. Hand painted furniture and garden decor, shabby chic decorating, pink fabrics, handcrafted jewelry, romantic fabrics and beautifully created mosaic furniture, just to mention a few! Sit back, relax, enjoy your visit at each member's cottage in our community. Take a leisurely stroll at Shabby Cottage Shops, Rose Cottage Court and Beautiful Cottage Boutiques! Come join us for just $9.99 a month!! Shabby Cottage Shops is a great place to help online boutique owners to start, manage and grow your business. We can help you promote your online store, shop, shops, boutiques, boutique websites, stores and more! How will we do this? 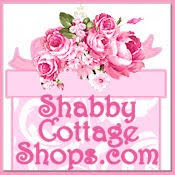 We will promote your online business by advertising in National Magazine Ads, Networking Ads, networking groups, group advertising and many other avenues available as a member of Shabby Cottage Shops. Come Join us for just $9.99 a month! We'll get your shop noticed!